After the roundup of articles devoted to the new Samsung Galaxy S3, looking back at the "old" S2. 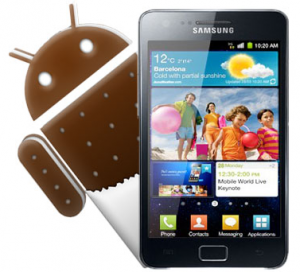 After having shown a complete guide to manual update to Android ICS for the company's best selling Korean Smartphone , today we provide tutorial to get the Root permissions after upgrading Galaxy S2 GT-I9100 to the newest version of android. Reboot our Galaxy S2 in DownloadMode (Volume down + Home + Power); at the next screen, press the buttonVolume Up. Now, when you restart the Device, we will meet with Root permissions and ClockworkMod Recovery 5 installed on our Galaxy S2. Now, with a stopover to the Root or going to the use of the Recovery, we are ready to change and to fully exploit our Galaxy S2 after the long-awaited update to android ICS! As always, the guide is quick and easy. As always, if you have any problems or questions, just leave a comment about the article. We will respond and we will help you as soon as possible!